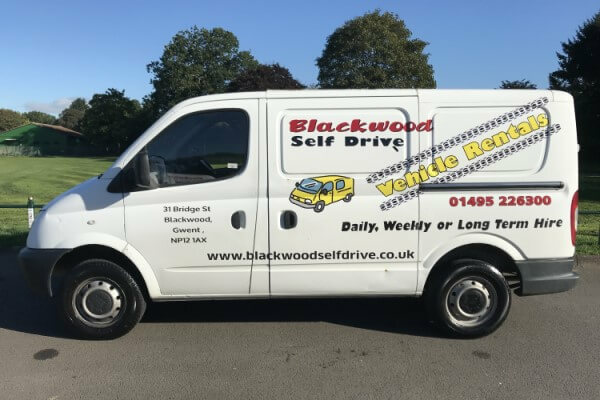 SWB van available to hire from Blackwood Self Drive. Length: 2.5m Width: 1.7m Height: 1.5m All dimensions are approx and may alter with make of vehicle. Weekend Special: £130.00. Friday 5.00pm-Monday 9.00am. All prices include insurance, Vat and unlimited mileage. Price is dependant on drivers age and if any driving convictions are present.